This sofa is a larger version of its matching loveseat. It features a high quality construction with a hand-tied coil seating suspension and 100% top grain leather upholstery. The traditional style is accented with nail head trim on the arm faces. 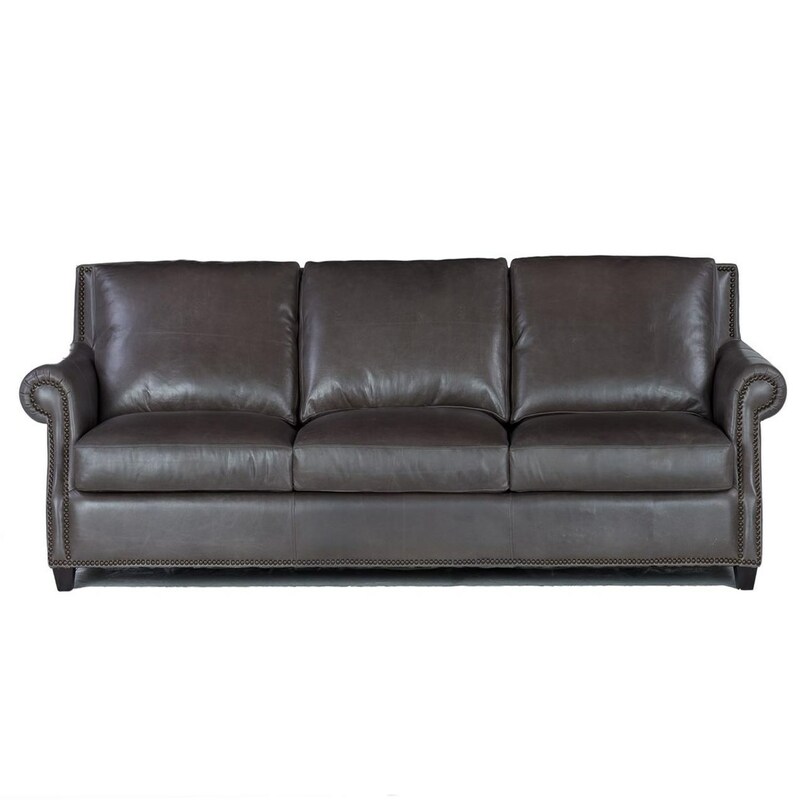 The 8655 Leather Sofa by USA Premium Leather at Miskelly Furniture in the Jackson, Pearl, Madison, Ridgeland, Flowood Mississippi area. Product availability may vary. Contact us for the most current availability on this product. Fabric Options 100% top grain leather upholstery all over. Seat Support True 8-way hand tied coil spring construction, providing more balance for comfortable seating. Padding & Ergonomics Genuine down-blend seat pillow tops. Individually muslin wrapped coils nestled in each seat cushion for coil on coil comfort and longevit. Zipper access on all cushions. Zipper access on back cushions. Velcro stabilizers for seat adjustment. The 8655 collection is a great option if you are looking for Traditional furniture in the Jackson, Pearl, Madison, Ridgeland, Flowood Mississippi area.